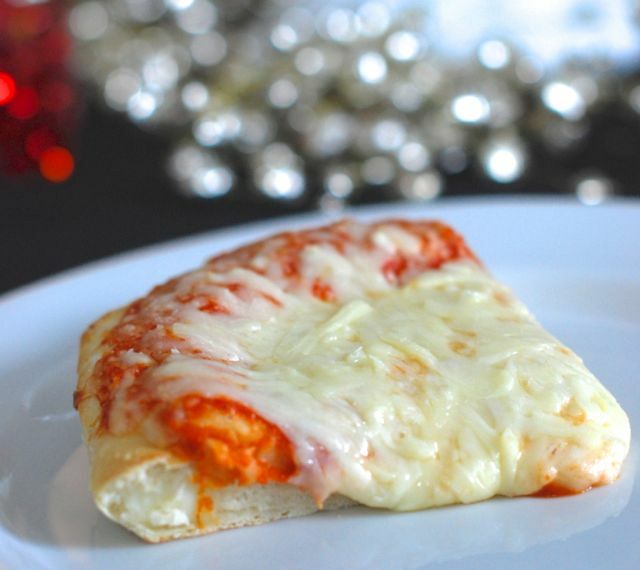 My kids and I love a hot slice of cheesy pizza, but we don’t always want to leave our cozy house to get it. Since Sbarro doesn’t deliver, I’ve taken to doing the next best thing: making it at home. With a fresh ball of the dough from the grocery store it is actually quite simple to make your own Sicilian-style pizza. Get the kids involved and have a little fun drumming up your own pizza kitchen at home! Since Sbarro doesn't deliver, I’ve taken to doing the next best thing: making it at home. Step 2: Oil a large 13x18 inch rimmed baking sheet and press the dough into it in one even layer. Spread the sauce on top, and then top with the cheese. You can also add any other toppings you want at this point. Step 3: Bake the pizza for 15 to 20 minutes. The bottom should be crisp and the top should be bubbling. Allow to cool before slicing and serving.